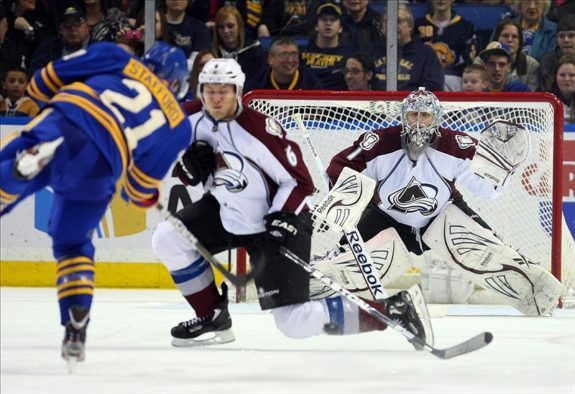 The Colorado Avalanche are 6-1-0 after their first seven games of the year. Nobody expected this team to be much, but they have shown that they have what it takes to win in the NHL this season. Their offense is scoring and their goalies are playing very well. Despite this hot start, however, the Avalanche defense continues to be the team’s weakest link, and they will need some help. Through the first seven games of the year, the Avalanche defense has managed to get some offensive production. Currently, there is only one Avalanche defeseman that hasn’t yet managed to get a point in a game, Ryan Wilson. Wilson is also coming back from a pre-season injury, so that isn’t such a huge deal. It took a long time for the Avalanche defense to get any points last season, so seeing this type of production from the blue line this early in the season is incredibly encouraging. Erik Johnson is really playing well this season, with few exceptions. He scored his first goal of the year against the Red Wings, and it was the type of goal you want to see from him. One of those end-to-end rushes where he splits defenders and puts a laser of a shot past the goalie. He’s also been picking up his physical play in his own end which a guy his size, 6’4″ and 22o pounds, needs to be able to use to his advantage. He’s also been playing well with is defensive partner, Jan Hejda. With the good, however, comes some negative, as well. First of all, it is important to note that this defense already looks worlds better than it did the past few seasons, but it is also important to note that using that as a standard is setting the bar incredibly low. While they are fewer, there are still far too many defensive breakdowns happening in their own zone. Passing has been better, but there are still far too many struggles in making smart, crisp first passes out of the defensive zone. Some of this could be attributed to new faces on the blue line and guys just being able to gain some chemistry with each other, but the decision making is still a little slow. What all of this leads to is a team that is tied for 26th in the league in shots allowed per game with 34.3 shots against each game. And while Semyon Varlamov has been playing amazing hockey to this point of the season, you simply can’t allow that many shots against to other NHL teams. The defense needs to do a much better job of not leaving their goalie out to dry. 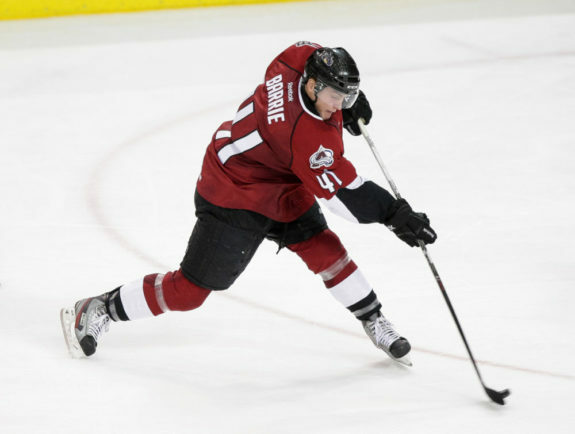 Tyson Barrie is one person who should hopefully be able to provide a spark for the Avalanche. Barrie has been a healthy scratch the past couple of games, but will likely be back in the lineup at some point. Other than Barrie, the only real options for major sparks would be Stefan Elliott, who is currently down in Lake Erie, and Duncan Siemens, also Lake Erie. Siemens had a great camp and seemed like he might be ready for the jump to the NHL, but was sent down to Lake Erie to gain experience and minutes in the AHL. Outside of these two, I’m not too sure of anybody else in the system that could really improve the blue line. The other option would be to explore trades, which opens a different can of worms because if you want to get something of value for your team, you’ve got to be willing to give something up. Salary space is not an issue for the Avalanche, but you’ve got to make sure you’re getting the right value. The teams that I would look at targeting for a trade would be teams that are having some serious issues out of the gate, they might be willing to shake things up to try and get a spark for the team. The two best options for the Avalanche would be Philadelphia and Buffalo. Both teams are in a mess right now and could use some kind of a shake up. However it ends up happening, the Colorado Avalanche need to do something to help improve their defense.